American figure skater who took gold at the 2016 US Figure Skating Championships. 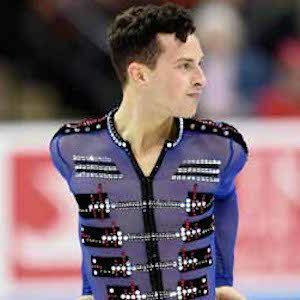 In 2018, he won a bronze medal as part of the team event and became the first openly gay U.S. male athlete to win a medal at the Winter Olympics. He won season 26 of Dancing with the Stars in 2018 and became a judge on Dancing with the Stars: Juniors. He started skating when he was 10 years old and started competing at the junior level in 2002. His signature triple lutz has earned the nicknamed "Rippon Lutz." He was born with significant hearing loss, but surgery early in his life helped restore it. He grew up with five younger siblings and came out as gay in 2015. He beat out Max Aaron to win the 2016 US Figure Skating Championships.